By allowing coffee grounds to steep before pushing them through a steel filter, the French press releases natural oils that create a robust, clean taste that’s simply not possible with drip coffee makers. We spent over 30 hours of research and testing to determine that the SterlingPro – Double Wall Stainless Steel French Press is the best French press coffee maker. It keeps coffee hotter for longer than any other French press we tested, and its sleek and durable construction contributes to a delicious cup every time. Our runner-up is the Bodum – Chambord. 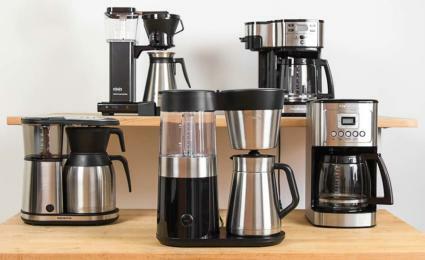 We spent over 20 hours reading blogs, specialty coffee websites, and forums to find the top consumer-reviewed and expert-tested French presses available today. We selected the top nine products and, over a highly caffeinated five-day stretch, performed four in-depth tests on taste, usability, heat retention, and amount of coffee grounds remaining after a pour. We also compared their key metrics: cost, capacity, cleaning ease, material, accessories, and portability. Our finalists are all made of high-quality material, like borosilicate glass and stainless steel. During our research and testing, we found the best method for brewing coffee with a French press. According to James Hoffman, World Barista Champion in 2007, the best way to brew a carafe is the “break-and-clean” method, which helps reduce the bitterness that some people taste with French press coffee. Another way to reduce bitterness is to use a water filter to purify your water before making coffee. Measure one scoop (a tablespoon) of French press ground coffee for every 4 ounces of water. Add the coffee to the bottom of the carafe. Once the water is boiling, let it cool for about 30 seconds until it drops to 200 degrees F°. Gently stir the coffee grounds and water together. Carefully place the plunger in the carafe, stopping it just above the water level. If your French press has a lid that spins to close, close it to keep in heat. Let it brew for four minutes, and carefully stir it again. Scoop out the upper layer of grounds that are floating on the surface. There will still be some grounds remaining in the carafe. Push the plunger down almost to the bottom of the carafe. Serve immediately or pour into a thermos. Any coffee remaining in the press will keep brewing and become bitter. Measure 1 ½ teaspoons of loose leaf tea for every 8 ounces of water you plan to use. Add the tea to the bottom of the carafe. Pour hot water over the leaves. Use water over 200 degrees F° for black tea and 160- to 180-degree water for green tea. Carefully place the plunger in the carafe, just above the water level, and spin the lid closed to keep in heat. Allow black tea to steep for three to five minutes and green tea to steep for one to three minutes. After the steeping time finishes, push the plunger down almost all the way to the bottom, taking care to not crush the leaves. Pour the freshly brewed tea into a teapot or mugs. Like coffee, if the tea remains in the French press, it’ll continue to steep and will become bitter, so move it from the press as soon as you can. First, and most importantly, a French press will make your coffee taste better. 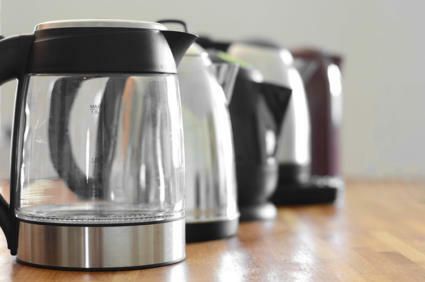 Drip coffee makers rely on paper filters that soak up many of the unique and delicious natural oils in coffee. The French press ensures that these oils make it to your cup, which makes for a richer, more robust flavor. 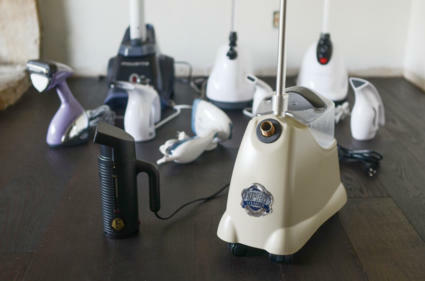 Electric drip coffee makers also suffer from their inability to be properly and thoroughly cleaned. Over time, residue inevitably builds up around the inner-workings of your coffee machine. This can cause your coffee to taste old or stale. Unless it’s fresh, a drip coffee pot sits on a warmed surface, which continues to slowly cook and burn the coffee after it’s brewed, again making it taste stale. Coffee is best when it’s fresh, and a French press is a simple way to always have fresh coffee. The French press is one of the most environmentally-friendly methods of brewing coffee; it creates virtually no waste. It doesn’t require paper filters, and unlike a Keurig, which was our winner in our test of the best single-cup coffee makers, it doesn’t use plastic pods. A French press isn’t plugged into the wall either. The French press is much more versatile than most other brewing methods and isn’t limited to a single use, like many other coffee makers. In fact, you can use a French press for any task in the kitchen that requires rinsing or straining. It’s a versatile tool. A product’s material is the most important thing to look for when considering a French press. It’s also one of the easiest things to determine. The material used for the carafe, the plunger, and the frame will all impact the functionality and experience of using the French press, and can impact the taste as well. We tested six glass French presses and two stainless steel French presses. All of the glass carafes are constructed with borosilicate. The addition of boric acid to the glass mixture increases its resilience to heat and sudden temperature change. It is the standard not just for coffee presses but for all glass cookware and scientific laboratory equipment as well. The advantage of glass is that you can see inside the press, which allows you to see the press in action and makes pouring the correct amount of water easier. However, it loses heat quicker than steel and is more vulnerable to breaking. The two stainless steel French presses, made by Frieling and SterlingPro, are both designed with two layered walls of 18/10 stainless steel for insulation. Steel has two distinct advantages over glass: it keeps liquids hotter for longer and it is nearly impossible to break. There’s also no need for a protective frame. This is a major reason why insulated French presses made from stainless steel are so popular among professionals and aficionados. The structure and material of the frame should protect a glass carafe, because they can — and do — break. A plastic frame, while not as visually appealing, offers a bit more protection than a metal frame because it’s less likely to break the glass. 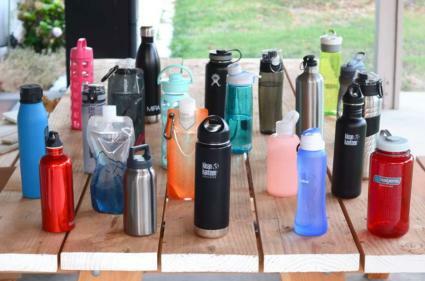 Consumers should avoid BPA plastics in any part of the French press that comes into contact with the coffee. BPA, a widely used chemical, is a carcinogen and has been proven to increase the risk of cancer. Some coffee drinkers believe that even BPA-free plastic can have a subtle influence on the flavor profile of their drink. Look for a spout made of steel or glass. Coffee presses come in a variety of sizes, ranging from single servings to 12 cups. Our top nine presses ranged from the 13.5-ounce Hario, about three cups, to the 35-ounce SterlingPro, about eight cups. Think about storage and usability. Do you have space and a use for a large French press? Or will you typically make one cup at a time? Whatever the case, most brands come in several sizes. When looking at the number of advertised cups, keep in mind that 4 ounces is the standard size for a cup of French press coffee. The products we tested ranged from less than $13 to over $90. You could spend as little as $10 dollars or find one for over $300. Some of the more expensive presses are made from the same materials as the ones in the under-$25 range. The main reasons for higher cost are aesthetics and, often, craftsmanship. The choice between a glass and steel carafe is largely an aesthetic preference. The Hario has a modern, streamlined look, with a glass carafe and a simple olive wood grip and plunger, while the mirrored finish of the SterlingPro makes it look particularly sharp. Think about where you plan to use the French press. Will it live in your kitchen or accompany you on camping trips and picnics? The Aeropress is designed to be lightweight and portable, making it an easy travel companion. Steel products are easy to transport without breaking but will be heavier and more difficult to pack. Glass French presses require extra care when transporting. First, we wanted to see which press held heat the longest. We used the Lavatools Javelin Pro, our pick for the best digital kitchen thermometer, to measure hot water at exactly 200 degrees F°. 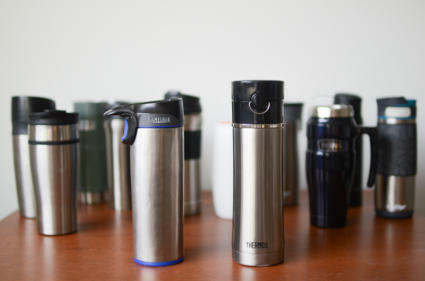 After the water reached 200 degrees F°, we poured the maximum capacity of liquid for each French press into the carafes. We used one scoop of grounds for every four ounces of water and let them steep for four minutes before pushing the grounds down with the plunger. We then poured a 4-ounce cup from each press at 15-minute intervals and measured the temperature of the cup. The clear winner in this category is the SterlingPro, which ended the two-hour test at 121 degrees F°, followed by the Hario Double Glass at 111 degrees F° and the Frieling Stainless Steel at 109 F°. We believe the Frieling cooled quicker because the lid is not designed to seal the spout opening on the carafe, unlike most of the other presses we tested. This space, though small, exposes the coffee directly to outside air. The SterlingPro has a lid that spins, allowing you to seal off the pour spout and keep in heat when it’s not in use. During the first 30 minutes, the Hario offered temperatures in step with the other four glass presses. But as we moved into the second hour, the Japanese-crafted press — featuring a glass beaker inside a larger glass carafe, separated by a sealed air chamber — distinguished itself as more insulated than the other glass carafes. The four remaining presses, all made with a single layer of borosilicate glass, lost heat at nearly the same rate and concluded the two-hour test between 99 and 100 F°. Finally, the Primula Cold Brew and AeroPress not included in this test given they didn’t make sense to use in this context. Following the heat test, we poured the last cup of coffee from each press over a traditional paper coffee filter to collect any sediment that snuck past the steel mesh screens. We allowed the filters to dry, then analyzed the coffee particles that remained. All of the French presses we tested allowed some grounds past the screen. The Bodum Chambord, however, allowed the least to get through. The SterlingPro, which has a double layer of steel screens, also performed very well. After the last cups had been poured, it was time to clean our presses. All the plungers disassemble in a similar fashion and are cleaned and put back together easily. The carafes themselves are also simple to wash by hand. However, removing the glass presses from their plastic frames can be tricky. The Primula Tempo, Bodum, and Kona French press all require twisting, turning, and pulling to separate the carafe from the frame. 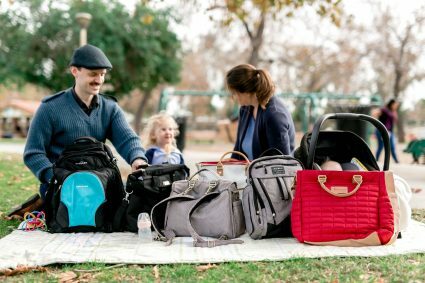 The Grosche Madrid’s metal frame is easier to separate and wash. The SterlingPro and the Frieling, our two stainless steel finalists, were the easiest to clean because there’s no fear of breaking them in the kitchen sink. The Hario, conversely, is extremely delicate and a bit more difficult to wash. The wooden grip must first be removed. It doesn’t have a frame to protect the thin glass, and the opening is too small to reach into with a standard sponge. Most of the presses are dishwasher safe, but we recommend hand washing with gentle soap and a soft sponge. The high pressure streams of water in a dishwasher are more likely to decrease efficiency and shorten the life of the mesh screens. Just because they can go in the dishwasher doesn’t mean they should. We performed a blind taste test using freshly roasted beans from a local roaster, which were ground specifically for use in a French press. 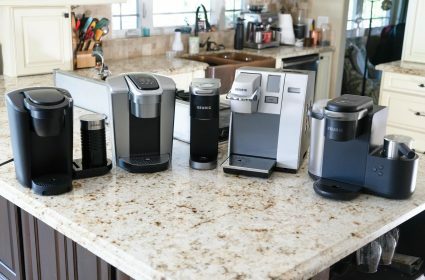 Serving three daily coffee drinkers, we tested each of the nine products using the same brewing method. First, we poured 200-degree F° water over each product’s recommended number of scoops, gave it a stir, and let the coffee steep for four minutes. Using Hoffman’s technique, we then carefully stirred the grounds and scooped out those that were floating on the surface. Finally, we plunged the screen to the bottom and began our tasting. The SterlingPro – Double Wall Stainless Steel French Press is our top pick. 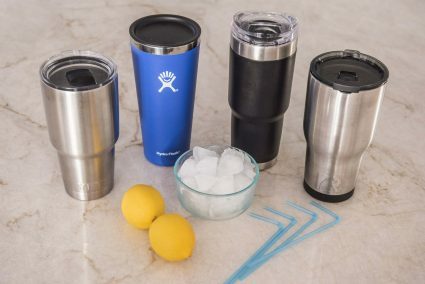 At around $40, it holds 35 ounces of liquid — large enough for eight cups of coffee — and retains heat better than any other press we tested. Its double walls of stainless steel — matched with a lid that can spin to close it off from outside air — keeps the temperature at 121 degrees F° even after two hours. As far as insulated French press coffee makers go, the SterlingPro undoubtedly leads the pack of our finalists. In our taste tests, we found that it made a slightly less bitter cup than the other presses and offered a smoother aftertaste as well. The plunger stops the screens at 1 ½ inches from the bottom, which allows the coffee grounds to release their flavor without damaging the screen. If hot (and delicious) coffee is important to you, there's no better French press than SterlingPro. It not only deliver excellent heat retention, but also comes in an impressive product design. In our testing, it had the second least amount of coffee grounds remaining in a cup. While it lacks a second filter near the spout, it provides excellent filtration with its two screens on the plunger. This means that when you use the SterlingPro, you’ll end up with a clean cup of coffee and avoid sludgy grounds at the bottom of your cup. We like that the SterlingPro is made of only high-quality stainless steel. This guarantees that no plastic will get in the way of your coffee’s flavor. The 18/20 stainless steel is used on the interior and exterior of the carafe and shouldn’t ever rust or break. The large handle is heat-proof and easy to grip while pouring. It also comes with a replacement set of double screens. While all parts are dishwasher safe, SterlingPro recommends hand washing it with mild soap and a soft sponge. The plunger and screens are simple to disassemble, and the carafe is easier to clean by hand than the glass presses because it’s more durable. The SterlingPro – Double Wall Stainless Steel French Press is our top pick because of its durable material and ability to retain heat. Its plunger offers two filter screens to help keep grounds in the carafe while you pour coffee. It’s priced under $40 and can hold up to eight cups of coffee, making it a good option for an everyday French press. Our runner up French press is the 34-ounce Bodum Chambord. Its simple design makes it easy enough to use for a quick morning cup. At under $30, the press works well with both coffee and loose leaf tea, making a smooth cup of both. We like that the plunger doesn’t hit the bottom of the carafe. It leaves about an inch of space so it doesn’t over-compress coffee grounds or break tea leaves, resulting in bitter beverages. The Chambord's simple design makes it a pleasure to use (and clean) from end to end. It has a double filtration system — one steel mesh screen and a second plastic filter at the spout. 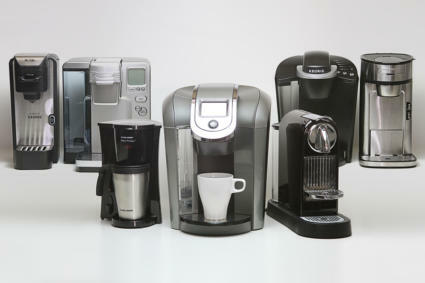 When we tested its ability to filter grounds from a cup of coffee, it ranked first out of our top nine. The plastic handle is easy to grip when pouring or carrying, and its stainless steel frame protects the heat-proof glass if it’s dropped. It also includes a scoop for your ground coffee. By unscrewing the plunger and screen components, it’s easy to clean. All parts are dishwasher-safe as well. The Bodum Chambord is a simple French press priced under $30. Its double filtration system — one mesh screen and another filter near the spout — keeps coffee grounds from ending up in your cup. It’s easy to use and clean, and its durable plastic frame helps protect the glass carafe. At more than double the price most of our finalists, the Hario – Double Glass isn’t for everybody. 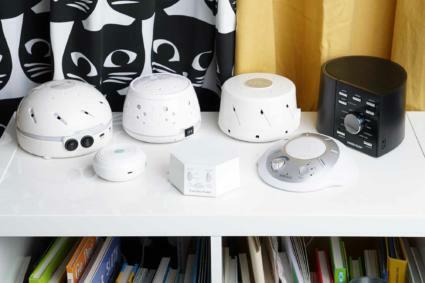 But from a design standpoint, it’s the most attractive and impressive product we tested. The wooden grip around the neck of the pitcher is sharp-looking olive wood, held in place by a brown leather strap. The contrast of the shaped glass with the wood and leather makes the Hario a superb combination of classic and modern. Because it doesn’t have a frame, it’s the most delicate and difficult to clean. But the Hario is the most fun to use and is sure to impress your brunch guests. The AeroPress has a different approach than the other presses we tested, so much so that a direct comparison almost seems unfair. It consists of a plastic tube and plunger that creates an airtight chamber, rapidly filtering the coffee through a small paper filter. Because there is no carafe, you place the Aeropress over your mug and press the coffee directly into it. After that, you can add a bit more hot water to suit your tastes. Although it lacks the bells and whistles, the AeroPress gets the job done on the road and is perfect for your next trip. With only a minute of steep time recommended and the increased pressure of the sealed tube, the coffee made with Aerobie Aeropress is distinctly less bitter. It also is completely free of grit because grounds cannot pass through the microfilter. In addition to serving as a daily coffee maker in your kitchen, the Aeropress is perfect for travel. It’s lightweight, compact, and made of thick, durable plastic. Plus, it comes with a zippered nylon tote bag. It is easy to use, fast to clean up, and ideal for camping trips or even as an alternative to a cheap hotel coffee maker. Another product that deserves an individual mention is the Primula – Cold Brew Iced Coffee Maker. By immersing a tall filter core full of coffee into cold water and allowing it to steep for 12-24 hours in the refrigerator, the Primula makes 36 ounces of coffee concentrate. The concentrate stays fresh in the fridge for up to two weeks and can be added to milk or chilled water and ice to make flavorful cups of iced coffee. If you live in a hot environment or prefer your coffee iced, the Primula is a great choice. The iced coffee concentrate is versatile. It can be combined with ice cream to make delicious coffee milkshakes or mixed with liquor in cocktail recipes. Since the coffee is never pushed through a filter by a plunger, much of the bitter quality remains in the grounds. Only the less-acidic content is released through the long steeping process, making Primula iced coffee easy to drink and free of the harsh taste that often accompanies coffee that has simply been iced. For those who like an iced coffee alternative, the Primula Cold Brew is a great option. All of our finalists made great-tasting coffee, but some failed to distinguish themselves in the overall user experience. The Madrid from Grosche has a metallic frame and handle that doesn’t secure the glass carafe as snuggly as the others. It also does not provide the protection of plastic, making it seem more fragile during clean up. However, it functions well and features a nice design. At just under $13, the Primula Tempo is the cheapest option and does not sacrifice taste. But after repeated use we found the plunger to be wearing a bit, failing to create the necessary seal as it is pushed through the water. The plastic components are also thinner and less sturdy than our top picks. The Frieling stainless steel press is as strong and reliable as the SterlingPro but suffers from a design flaw in the lid that does not seal the hot coffee from the outside air. 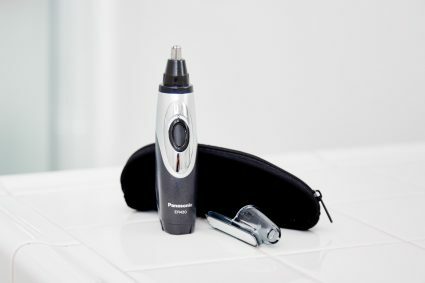 The brushed finish is also not as eye-catching as the mirrored finish on the SterlingPro, and, at about twice the price, it fails to offer similar value. The Kona is a solid French press that makes delicious coffee every time. It’s fairly priced at around $24 and is a good option. It didn’t perform as well as our top presses when we checked it for remaining grounds, however, and it was on the low end when tested for heat retention. We originally wrote this post five months ago. 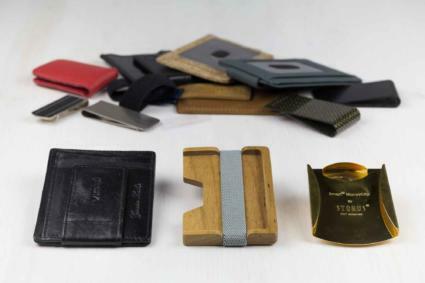 Since then, we’ve heavily used the SterlingPro, and the biggest thing we’ve noticed is its durability. After multiple uses around the house, most other french presses have shattered, cracked, or chipped. Although this is due to user error, the stainless steel design of the SterlingPro completely eliminates this potential problem from the equation. The other feature that has impressed time after time has been the ability to keep freshly brewed coffee hot. We’ve even been able to serve hot coffee from the french press after steeping it on an outdoor patio on a cool morning. The durable double mesh screens have held up valiantly to multiple uses and hand washing. They also continue to make a considerable difference in catching coffee grounds compared to other french presses we’ve used. For a robust, flavorful cup of coffee, a French press is the best and easiest way to get it done at home. We like the SterlingPro because it keeps coffee hotter longer than any other brand we tested. The two walls of insulated stainless steel and a lid designed to trap heat inside until it is time to pour make it our top pick for the best French press. Because the handle, plunger, and lid are all made of stainless steel, it is incredibly durable and should last for decades of use and cleaning. It makes delicious coffee, and the cleanup is easy and straightforward. We also recommend the Bodum Chambord. Bodum is a premier brand in the French press world and for good reason. Their press is the best representation of the traditional glass French press. The steel screen design and the addition of a second slotted filter in the lid kept coffee made with a Bodum press nearly free of grounds. We recommend other coffee makers for different functions, like travel and cold brew, however the SterlingPro provides the best performance and experience overall. Heat retention and impressive product design made the SterlingPro our preferred choice.